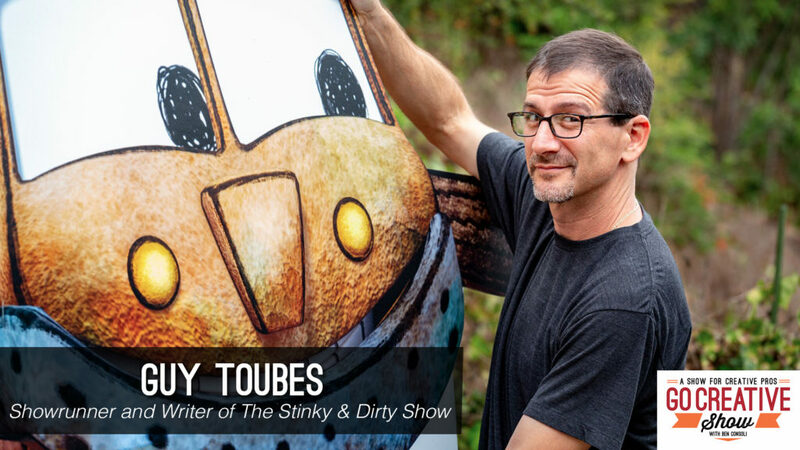 Guy Toubes is the writer and showrunner for the Emmy Nominated animated series The Stinky And Dirty Show on Amazon Prime. As a prolific writer and story editor for countless children’s shows, Guy has a unique perspective on telling stories that both entertain and teach children and adults. Guy joins commercial director and Go Creative Show host Ben Consoli to discuss the challenges of writing for young audiences, the limitations of 3D animation, using animatics, show-running an animated series, and so much more.